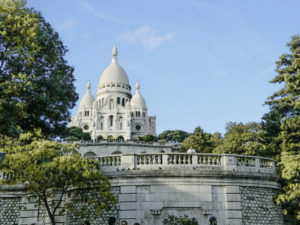 Dominated by the grandeur of the Sacré-Cœur Basilica, the leafy hilltop village of Montmartre was once the play area of Paris’s most famous artists, bohemians and creatures of the night. These days, the winding cobbled streets host chic cafes, retro boutiques and fine French dining but, if you look closely enough, those in search of historical secrets can still find traces of the old La Bohème hidden between the touristy spots. Popular blogger A Travelin Tale takes you through the audio tour which includes the neighborhood of Pigalle, the Moulin Rouge club, The Montmartre Cemetery, and Place Dalida, with a bust of the iconic singer. Download the free Geotourist app from the Apple and Google Play app stores to take the tour on your smartphone.